Infectious diseases can lead to rapid and unexpected deaths, highlighting the importance of prevention strategies, according to a study published in Open Forum Infectious Diseases by investigators at the Sunnybrook Health Sciences Center in Ontario, Canada. "There is very little prior attention on sudden, unexpected deaths from infectious diseases," Nick Daneman, MD, FRCPC, MSc, a scientist with Sunnybrook Health Sciences Centre and an author of the report, told Contagion®. The population-wide cohort study examined all unexpected deaths in Ontario between January 2016 and December 2017 and found that infectious causes were responsible for 6% of all unexpected deaths. Read about unexpected infectious disease deaths. The push to limit the use of antibiotics in the treatment of urinary tract infections (UTIs) could be leading to an increase in bloodstream infections in elderly patients. New research published last month in The BMJ offers new data points that could fuel additional discussion about how to tailor antibiotic stewardship programs so they sufficiently curtail antibiotic resistance while also limiting adverse effects associated with the reduction of the use of the drugs. A team of British investigators wanted to gain a better handle on potential negative impacts of delaying or avoiding antibiotic use in elderly patients who see a primary care physician for the treatment of UTIs. The team leveraged a database of patient records stretching from 2007-2015 and encompassing more than 157,000 patients over the age of 65 who sought care for more than 312,000 urinary tract infections. Read about bloodstream infection risks in older adults with UTIs. The US Food and Drug Administration (FDA) has approved a supplemental New Drug Application (sNDA), expanding the label for ceftazidime and avibactam (AVYCAZ) to include pediatric patients 3 months and older for the treatment of complicated urinary tract infections (cUTI) and complicated intra-abdominal infections (cIAI) in combination with metronidazole. "Difficult-to-treat gram-negative pathogens pose a significant health risk, particularly to the vulnerable and sensitive pediatric patient population with few options for treatment," David Nicholson, PhD, chief research & development officer at Allergan said in a statement, further indicating that this marks the first approval of an indication for cUTI and cIAI in pediatric patients in more than a decade. Ceftazidime/avibactam is a fixed-dose combination antibacterial. Avibactam is a non-beta-lactam beta-lactamase inhibitor, which protects ceftazidime from degradation by some beta-lactamases. Avibactam does not decrease the activity of ceftazidime against ceftazidime-susceptible organisms. Ceftazidime is a third-generation cephalosporin with a well-established efficacy and safety profile. Read about the label expansion for ceftazidime/avibactam. 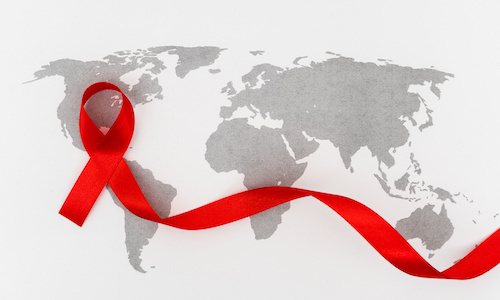 The makers of leronlimab (PRO 140) have filed the non-clinical portion of the drug’s Biologics License Application (BLA) as a combination therapy for HIV, the first of 3 sections of the submission, using the US Food and Drug Administration’s (FDA) Rolling Review process. “This is the most important milestone yet in CytoDyn’s history,” Nader Pourhassan, PhD, president, CEO, and director of CytoDyn, the company developing PRO 140, said in a statement. Read about the HIV combination therapy candidate. Read about enteroviruses and the link to type 1 diabetes.